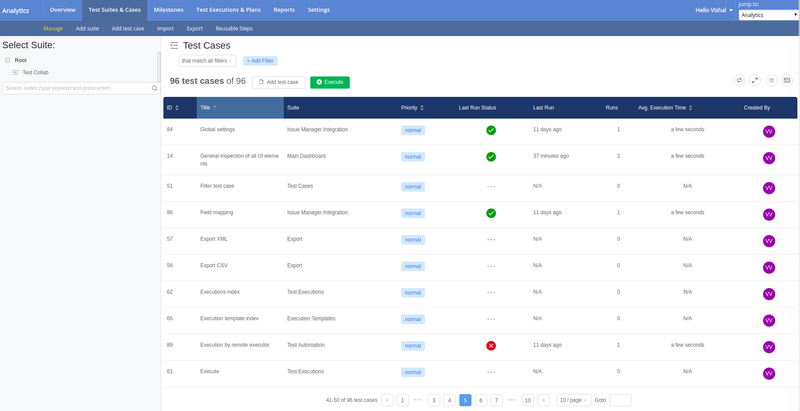 One page to manage existing test cases, quickly add new one, sort and filter test cases. 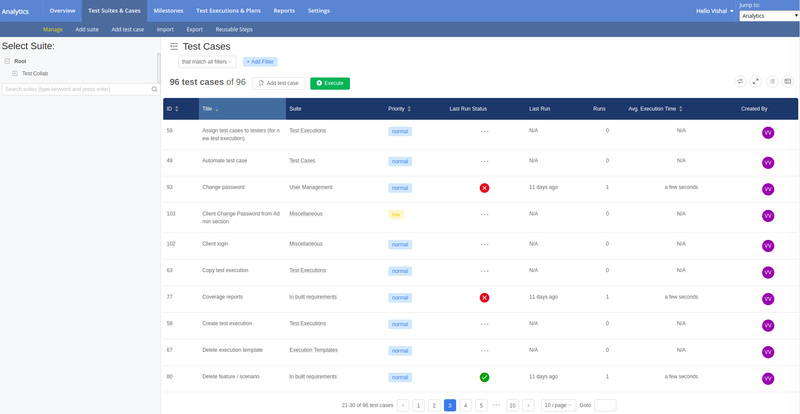 If you are using the older test case management page then you get options to switch to newer interface by simply clicking a button. Click on "Switch to new manage page" or "Switch to new interface" button to switch the interface. Here is what you would see as the new UI. The new interface is simple and intuitive. 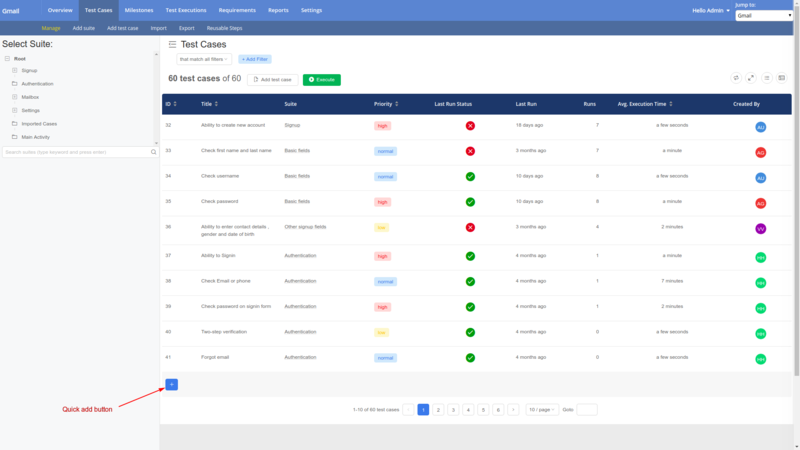 You see the test suites list, test cases list along with the tools and options to work with these lists. 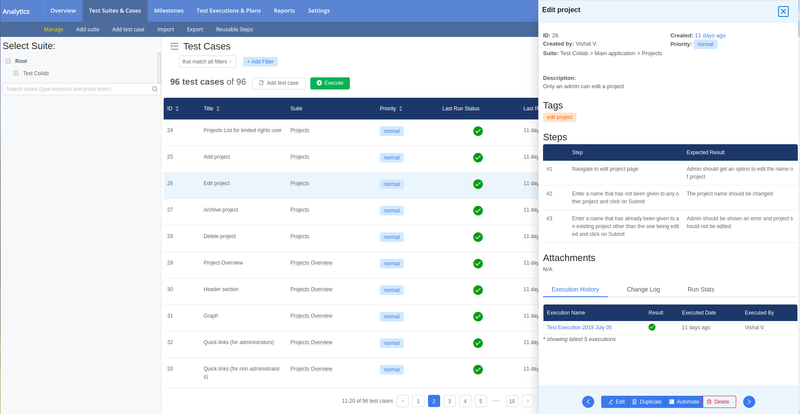 The suites tree is shown on the left pane, and on the right pane by default you see a list of all the test cases added under the project. The test cases can be sorted and filtered on the basis of some key columns. You can click a test suite's name on the suites tree to see all test cases belonging to the suite and its child suites. 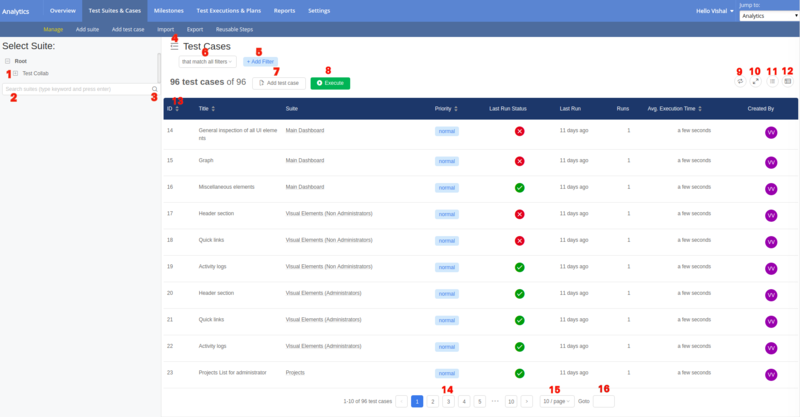 Let us now see what tools and options are available to better manage test suites and test cases. In the image given below the key options have been numbered, the individual details are given below the image. In addition to all the above you can now quickly add a test case using the "+" icon just below test cases list. More details on quick add feature are available here. Clicking on a test case on test case index opens its view. All the details related to test case can be seen at one place. 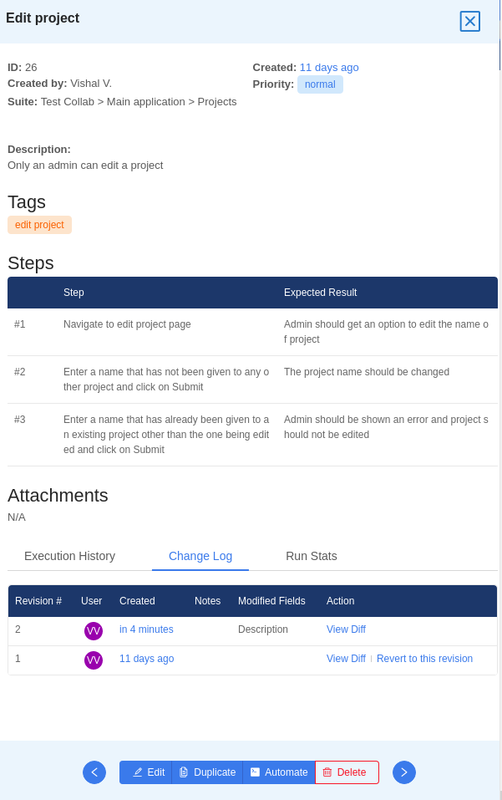 Its Title, ID, Creation date (hover the mouse on this field to see exact date and time), Author, Priority, Suite title, Custom fields (if present) and their values, Description and Tags. The steps on the basis of settings done at the time of project creation for availability of single or multiple textboxes for steps and expected results. Attachments (if any) will also be shown below steps. 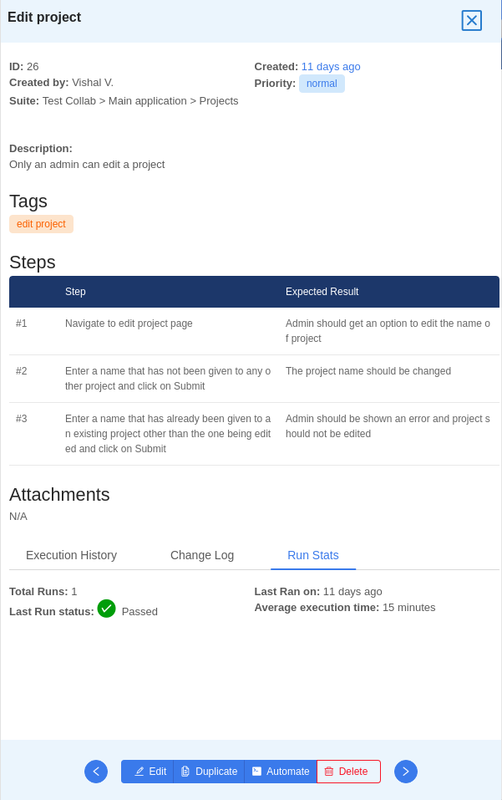 A few key columns can be used to sort the test cases, the columns are - ID, Title, Priority and Average Execution Time. Headers for these columns are provided with sort options. You can sort test cases in both ascending and descending direction. There are two options to spot a test suite on suites tree, one is to search for a suite by typing the part of its title in suite search box and hitting the search icon given with the box. The other option is to click on suite name shown on test case index. Test suites and test cases can be dragged and dropped to change the order in which they would be executed. Please refer this page to have more details on filters that can be applied on test cases.